Edward Exley founded his firm at Bradford, Yorkshire, United Kingdom in 1922. The first products were made to order live steam, clockwork and electrically powered locomotives, in gauges 'O' and 1. 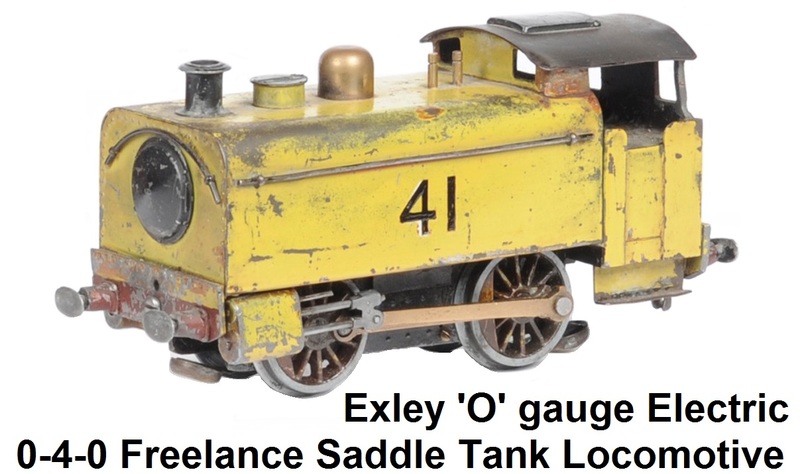 Edward Exley Ltd. was primarily known for manufacturing ready to run model coaches in 'OO' and 'O' gauge. In the early 1930's the company had a full range of locomotive and coach products in stock and available made to order. During this period the company started supplying Bassett-Lowke with models. This included the finely detailed Exley 'O' gauge coaches, which Bassett-Lowke marketed as their own ‘scale range’. During this period, Exley formed a business relationship with J. S. Beeson, Mills Bros., Leeds Model Company and others, to manufacture and market toy train products. Exley locomotives were hand made and true to the prototypes. In the early days of the company many were actually built by Edward Exley himself, as this was his favorite part of the business. Starting in the later 1930's many locomotives were built by employees in the factory, and by other contemporary builders such as Mills Bros. and Stanley Beeson. Since few records were maintained, exact production numbers are unknown. Models created included a GWR King, Caledonian 4-6-0, SR Lord Nelson, GWR 2-6-2T, GWR Castle, and a freelance steam 0-4-0 Saddle Tank. All of these were listed in catalogues as stock items, while others were listed as built to order. Vivien Boyd-Carpenter joined the company in the late 1930's, and led the design and manufacture of high quality 'OO' coaching stock. Exley made a huge range of high quality coaches. Most had a very attractive quite glossy paint finish that instantly attracted the eye. The vast majority resemble LMS standard 1930's stock in general appearance although there were a small number of other models. Some were reasonably accurate models for their time of LMS prototypes, while others were not. Some models of GWR and SR stock had tooling specially made for them, but kept the general LMS profile and mostly LMS proportioned windows. For most models, sole bars, sides, and roofs were made from a single piece of aluminium with the main windows stamped out. A few late models had the sides joined by a false roof and a separate real roof. Many models had cast metal ends, wooden floors, metal underframe fittings, and real glass windows. Models with all of these features tend to be rather heavy. Later models had plastic ends, underframe fittings, and glazing, and a pressed metal floor. Some models have a combination of earlier and later materials. Interiors were either wood, metal or plastic although a few were made without interiors. Early models had the top window lights painted or printed on the glazing but all later ones had these stamped out as part of the main body sides. 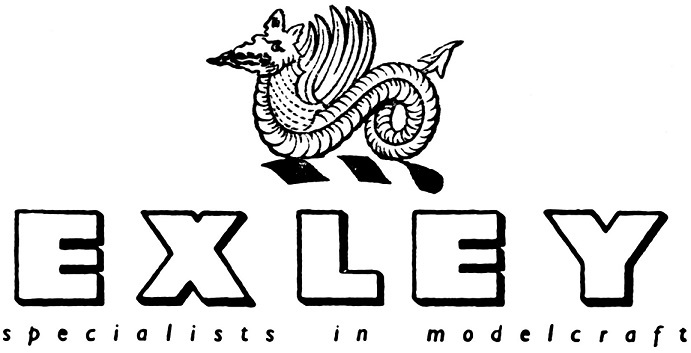 Many models were supplied without bogies for the purchaser to fit their own, but some models, probably pre-war, did have cast metal bogies with the name Exley cast into them. Later models were supplied with Exley plastic bogies with the name Exley molded into the axles. During World War II, work turned to the war effort and scale model ships for naval recognition use were made. After the war, in 1945 Exley retooled and again produced the railway models. They became a limited company in 1947. The underframes and bogies of the early post war coaches were improved from those of the pre-war era, and around 1950 the tooling for the coach bodies was also upgraded to the style most commonly found today. Edward Exley Ltd. also produced industrial models from commissioned orders, which included charabancs, industrial installations, large diesel engines, etc., and continued to supply Bassett-Lowke with ‘scale’ coaches. In the early post war years the sales department was located in Worksop, Nottinghamshire, with Boyd-Carpenter running this part of the business. The manufacturing plant remained in Bradford. By 1952, however, Edward Exley (Sales) Ltd. had moved to Baslow in Derbyshire. Edward Exley resigned as a Director of the Sales Company in July 1955 after a disagreement. However, Edward continued to manage the works in Bradford. The Exley catalogue carried the statement 'This Company is not now a manufacturing undertaking'. Lists of coaches in 'OO' and 'O' scale were issued by the factory but these were headed 'Exley of Bradford'. Locomotives were still available after the war, but only as made to order. Post-war catalogues show an LNER Flying Scotsman, a Southern 4-6-0 Lord Nelson, a Southern Schools Class, a 36xx Class GWR 2-4-2T and a number of overseas locomotives for special purposes. Further known products included an NBR J35 and an LMS 2-6-4T. Catalogue illustrations post-war were usually of locos that had been supplied to customers, rather than from stock. In the late 1950's Edward Exley sold the locomotive construction part of the business to Stanley Beeson, who had made locos for a number of Exley clients. Coaches were listed until 1962 when there was a fire that destroyed the Bradford factory and most of the tooling. At this point Edward Exley decided to retire. By 1968, the company's catalogue was dominated by 'OO' gauge models and accessories. Although the front of the catalogue was still devoted to 'O' gauge (7mm scale), these were only seven pages of a 32-page booklet, and only listed parts, accessories and support services rather than new items. The company at Baslow continued to offer coaches but eventually discontinued the 'OO' gauge range. The 7mm models were listed as available until the death of Boyd-Carpenter in January 1995, but were in fact being made by outside workers to order. It has to be said that quality of the coaches made after 1962, once a hallmark of the company name, was variable, and to the purist no true Exleys were made after the destruction of the Bradford factory. After the death of Boyd-Carpenter in 1995, Edward Exley Ltd. ceased trading at Baslow, and all the shares and remnants of the company were purchased by Quentin and Tricia Lucas from Fife. In the latter half of the 1990's they rebuilt the company, trading in original Exley models, carrying out restorations, and selling modern finescale 'O' gauge kits, models and components. Quentin specialized in the 'O' gauge Exley market, and Tricia in 'OO'. They were a familiar sight at model railway exhibitions with an 'O' gauge presence, and at selected Train Fairs and Auctions, and operated a mail order service too. In January 1999 they moved the business to near Berwick-upon-Tweed. In 2004, the Lucas' retired from the company. A sale to Joe Brown and Richard Gordon-Brown was completed in August 2004. Because of the premium nature of Exley's products, they tend to be well preserved, and many examples survive today. They are highly collectible and good examples of 'O' gauge coaches often change hands at auction for many hundreds of pounds. The company is still in existence, although it is not currently trading. Most recently it has acted as a restoration company for existing Exley models and as a point of contact for technical queries.